Magical Altar and how to do it! 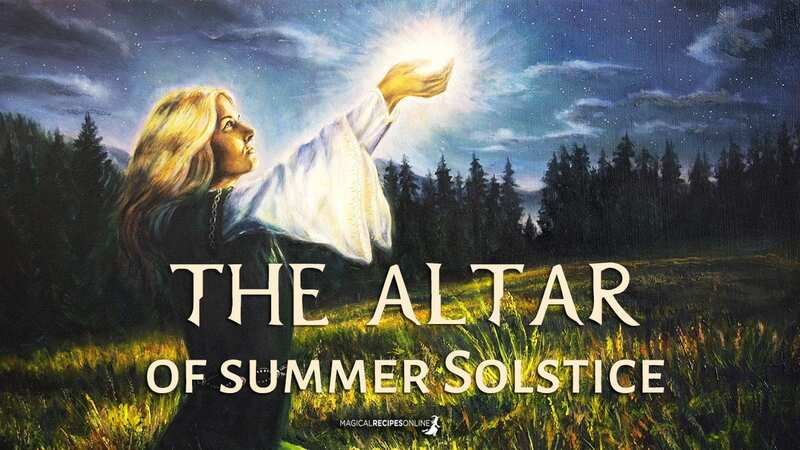 As the second instalment of my Frequently Asked Questions series, Altars is another very common source of questions, and it also has a certain about of confusion about what they should be, where they should be, and so on. Click here to read more about Altars! From all my years following a spiritual path I have learned that just like your Book of Shadows, it is a very personal thing, and needs to reflect you, your path and your beliefs. I have also learned that if you feel forced into have it look a certain way you can’t really connect to them because for you it doesn’t feel right. Lets get down to the questions. 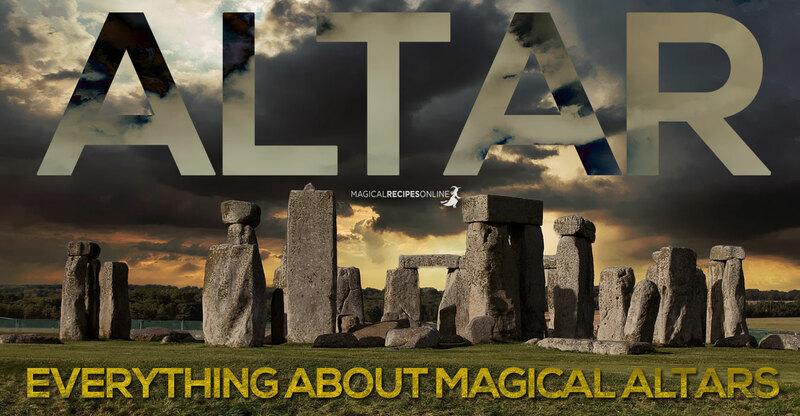 Q: What is a Magical Altar? Q: What is a Magical Altar in the Craft? A: A magical altar tends to be a flat surface upon witches place items or objects which are sacred to us, and our way of worship. In Spiritual and Magical paths an altar is a representation of our subconsciousmind and spiritual path. 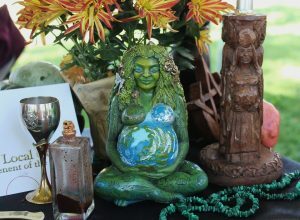 The objects you use on your altar should be blessed with your intent which will give them a goal to focus on and power. As a solitary the altar is an expression of a single person’s subconscious, where as when you are part of a group or coven, the magical altar will express the group’s intent and the collective mind of all members. Q: Do you have to have an altar to be a Witch? A: Not at all. We all work differently, and if you don’t have an altar that is entirely fine. You are not more of a Witch if you have an altar, you are not more inferior to people who do. Q: What does a Magical altar look like? A: In short it can look however you want it to look. There is no right or wrong way for an altar to look. You need to look at your life and your home and see what would suit you best. Your altar can be as big or as small as you want, and it doesn’t have to be a special kind of table, even though many books on the craft tell you it must. It can be a shelf, a dresser, a sideboard, a box covered with a cloth, a small bedside table. Q: Does an Altar have to be set up like in the books? A: I would love to be able to say yes, but the truth of the matter is, it is a personal decision. However, if you are new to the craft, you may decide that you want or need to set it up using a well defined guide. That is awesome. I have found that the longer I have been on my path I have began to trust my own instincts more and more. 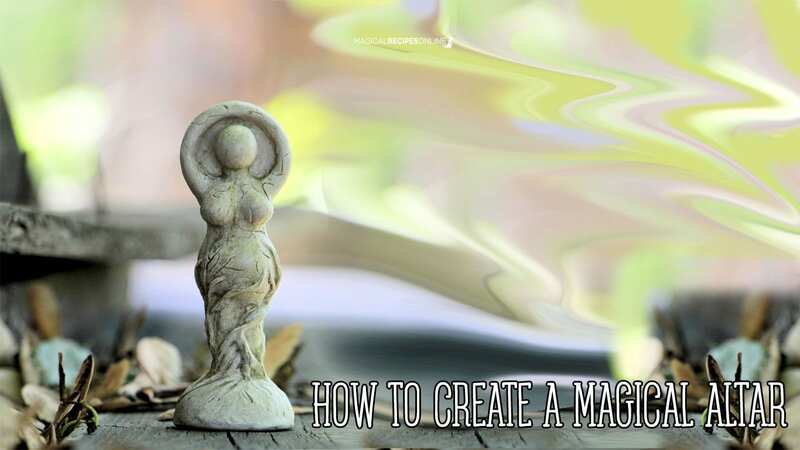 Q: How do I create a Magical Altar? A: The cop out answer would be to follow your instincts, and that just isn’t the kind of answer I would give to anyone. Your instincts are important when creating an altar. Despite that, you have to know what you want the altar for before you can decide where it should go, what should be on it etc…. There are 5 questions you can ask yourself when deciding on your altar. What is the altar for? Does I want it to be in plain sight, or do I need it to be discreet or hidden altogether? Will I be leaving candles lit or unattended (which is never a good idea)? Will anything be damaged by heat from the candles or it’s flames? When you have decided what your altar is going to be, you need to decide where to put it. Many choose to have their altar in a certain place in a certain position. However this isn’t always possible, especially if you are “in the broom closet” or don’t have much space. I have mine on a southern wall facing North. It has been at every wall in my room. On the other hand I have at least 3 or 4 set up at any one time. That’s because I only have a limited amount of space. Q: How can you place your altar? A: The most traditional positions for an altar is the north or east directions or in the center of your sacred space. Moreover, the advantage to having your altar in the middle of your sacred space is that you can move all the way around it! Although that comes with risks. You need go make sure the table/object you use is sturdy and will not fall over if it is knocked. However, I have found that it isn’t always possible to put your altar in the places, and you have to be flexible when you are placing it somewhere. **When you place your altar in the North side of your sacred space, is that it is a place of steadiness and balance. 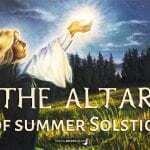 By having your altar in the North, you are bringing steadiness and balance to your magical workings. Q: Do Wiccan’s have a certain way of setting up an altar, I read that in a book? A: Yes, the various magical traditions have their own way of setting up an altar. There is plethora of beginner books that can walk you through how you can set them up. I could spend weeks explaining how and why I set my altars up the way I do. The most important thing I have learned over the last 19 years, is that your altar is a personal thing! …Unless you have to follow a set tradition it is up to YOU! You have to have a connection to your altar, so I say follow your instincts, as they will lead you to what you need. Q: Can you give me an example of how you set up your altar? A: I have always used things that are either things that are special to me, or I have been guided to use by my instincts. This Litha I have used coloured glass spheres, coloured votive candles that surround a white candle in the center of the altar. I have a selection of dried and fresh flowers from my garden. I have my rainbow candles from the Goddess Temple in Glastonbury. Moreover, I have incence from Spirit & Soul Island which is unique to them. I have a chalice, a mini besom. Something that is very special to me is a little memorial to my Familiar that passed on Litha 2015. I have her brush and the necklace that has some of her fur; this is something that I will have every year. **NOTE** What works for me may not work for you. Remember; what works for one, does not work for everyone. Sun 03° Taurus 23' 03"
Moon 28° Sagittarius 36' 21"
Mercury 08° Aries 46' 57"
Venus 03° Aries 50' 09"
Previous Story Previous post: TEST: Are you a Vampire’s Victim ? Next Story Next post: How to tell if someone flirts you ! Read Signs of Flirting!